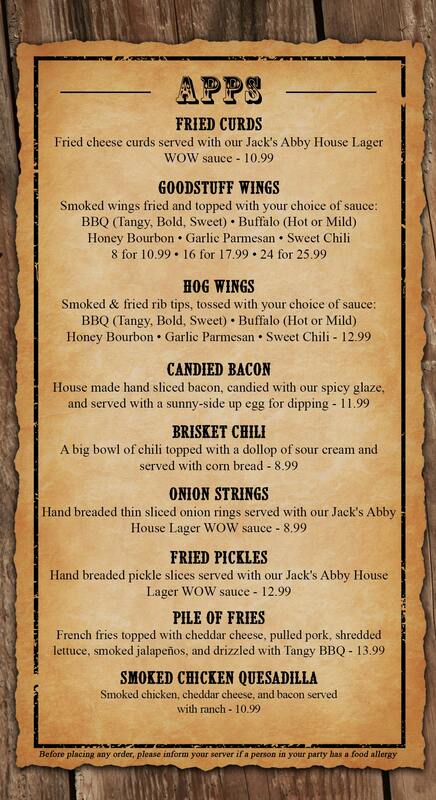 Get Ready For The Best BBQ You’ve Ever Tasted! 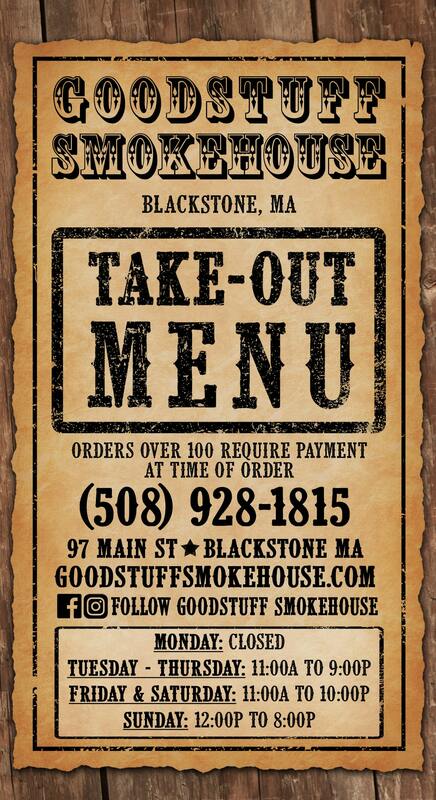 At Goodstuff Smokehouse, we feature all the same quality “New England Style BBQ” folks came to love from our mobile location, plus many more new favorites. 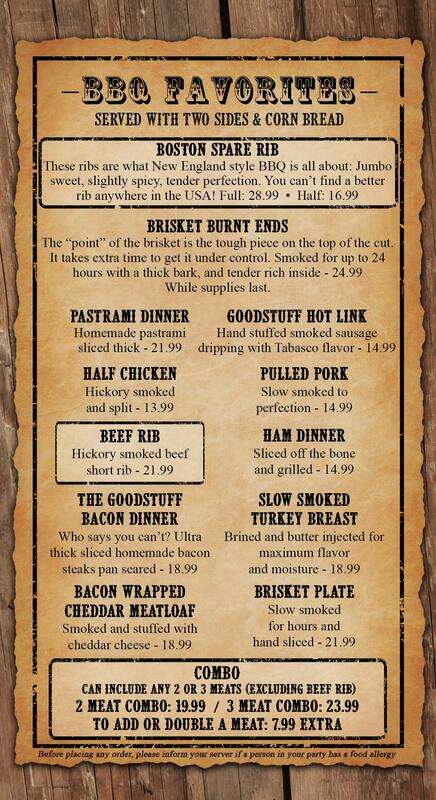 From our brand new all handmade menu, to new steaks and sides, you’ll always find something new to love at Goodstuff Smokehouse. 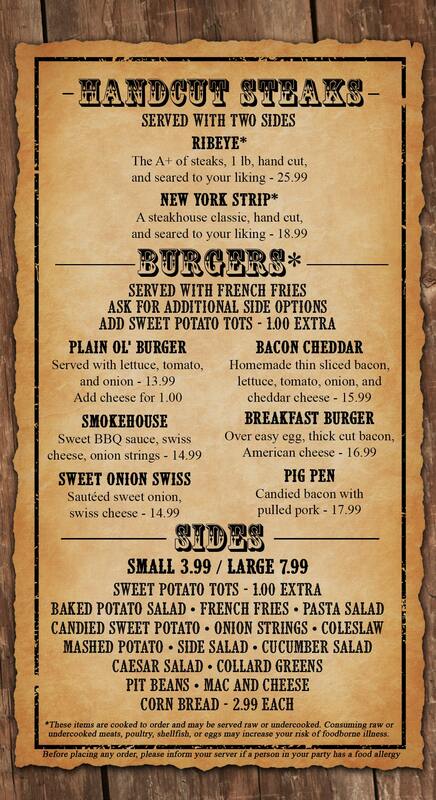 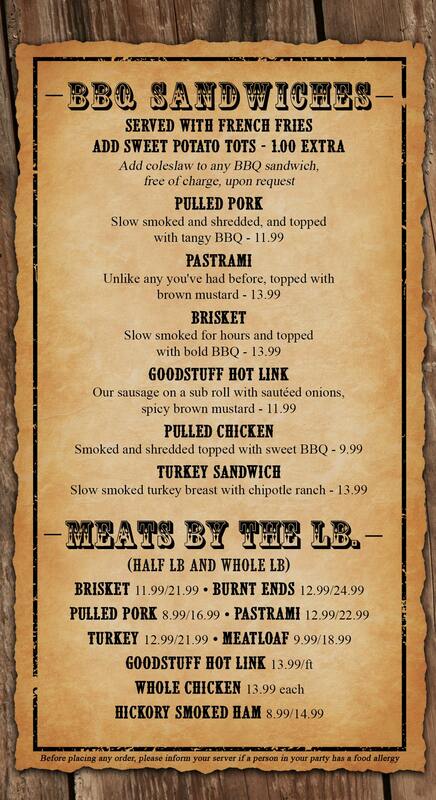 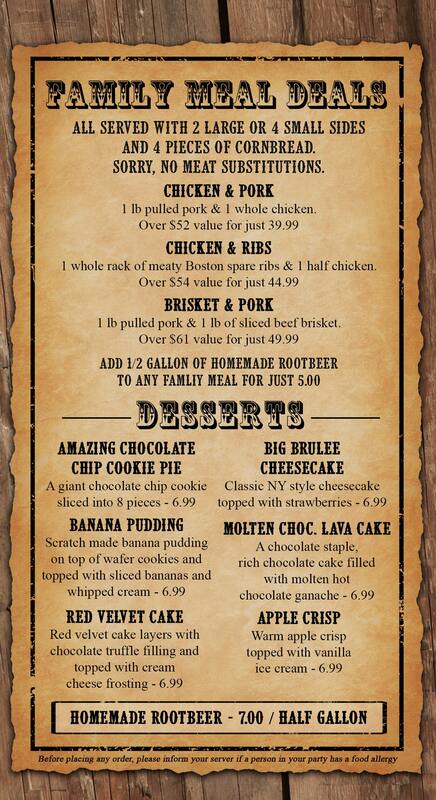 Take a look below at our take-out menu and please feel free to call us with any questions at (508) 928-1815.